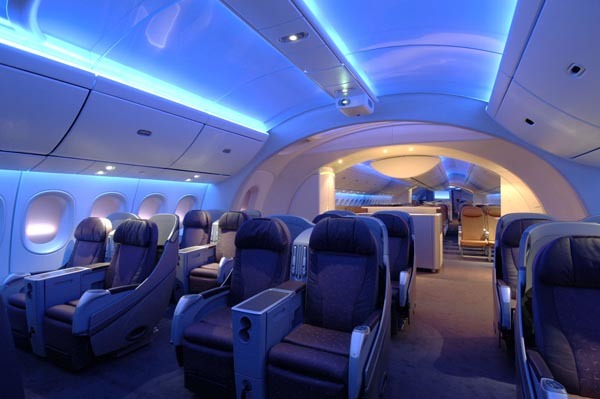 Once aboard, you are welcomed by a soft blue sky breaking through cumulus clouds, the effects of a dynamic LED lighting system able to simulate a sunrise in Tokyo or sunset in Los Angeles. 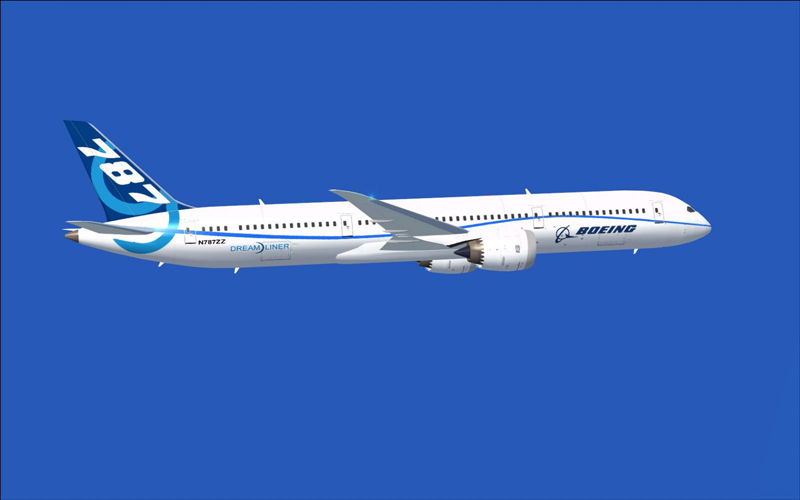 Boeing’s goal was to create a better flying experience by understanding how the human body reacts to flight conditions. Along with wider seats, one of our favorite features is the electro chromic window dimming system: With the touch of a button, passengers can change the tint of the window from fully transparent to completely dimmed. (Window shades? So last millennium.) 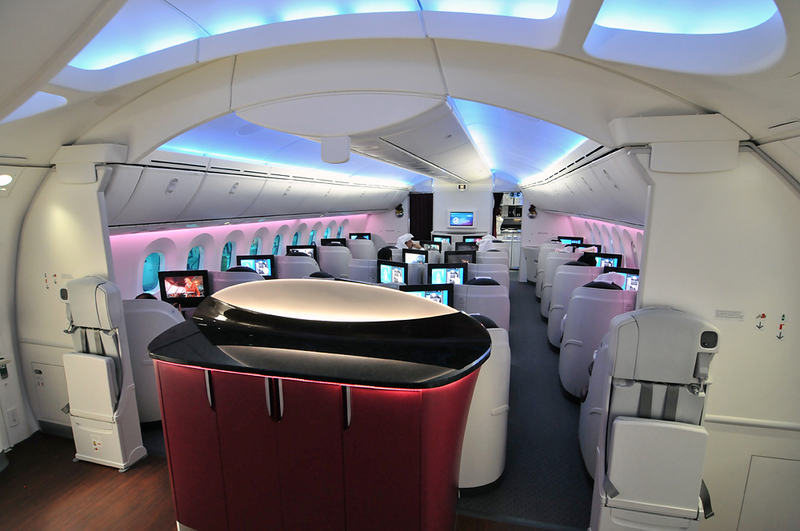 Currently, All Nippon Airways and Japan Airlines are the only carriers with a Dreamliner in their fleet. The word is that United will be the first U.S. airline to launch this Rolls-Royce-powered dream later this year.